Helloooo, Friday and boy am I happy to see you! This week has flown by and dragged on, all in one. Does that ever happen to you? I've been working on a few new projects, doing the Pure Barre Bestie Challenge, and staying busy at the office so it's been quite the week cramming everything in. 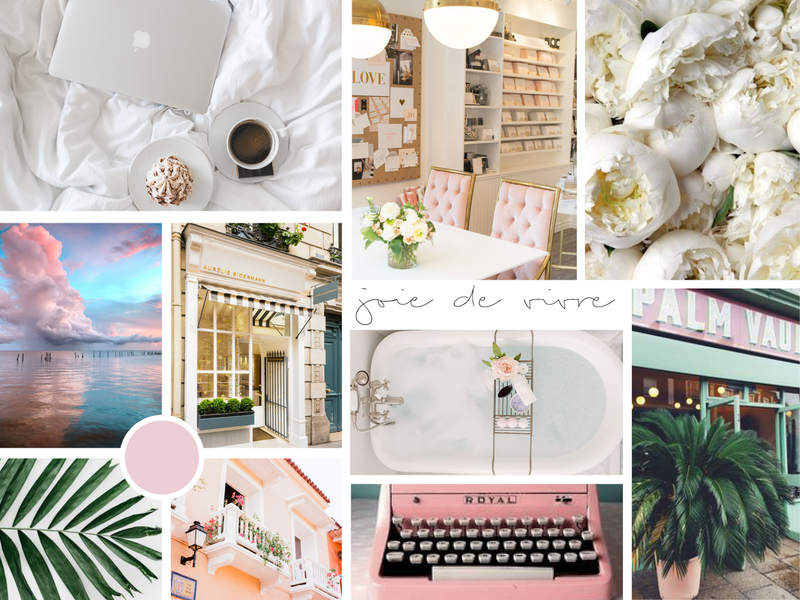 I've been trying to really stay inspired and set the tone for my week, so I've started creating a digital inspiration board. It's relaxing to create and I come across some amazing images as I try to capture my mood for the week or month. I don't spend a ton of time in my home office right now and I now share my office with another gal at work, so having a digital board is a way to keep my creativity in tact and where I can see it. Lately, I'm inspired by beautiful color and classic pieces. I also have a major case of wanderlust and can't wait to travel to St. Lucia for our honeymoon. I have a lot of travel coming up this spring and summer, including a trip Nashville for my bachelorette as well as weddings in Boone and Charleston. I'm excited to explore a few new places a revisit a few old ones. I tell myself I'm not going to shop and I do it anyway. I've reigned it in a little bit but I have snagged a couple of things this month. Barre Challenge | I've been stepping up my barre game with the #barrebestiechallenge this month. You and a teammate have to be the first to complete 40 classes in 28 days (combined attendance) and the winners receive the cutest little basket. Luckily, I have an awesome partner who is dedicated to each challenge she does, so it's keeping me motivated to head to the barre at least 4-5 times each week. I'm actually staying put this weekend and am excited to have a couple of days at home! Cheers to Friday!